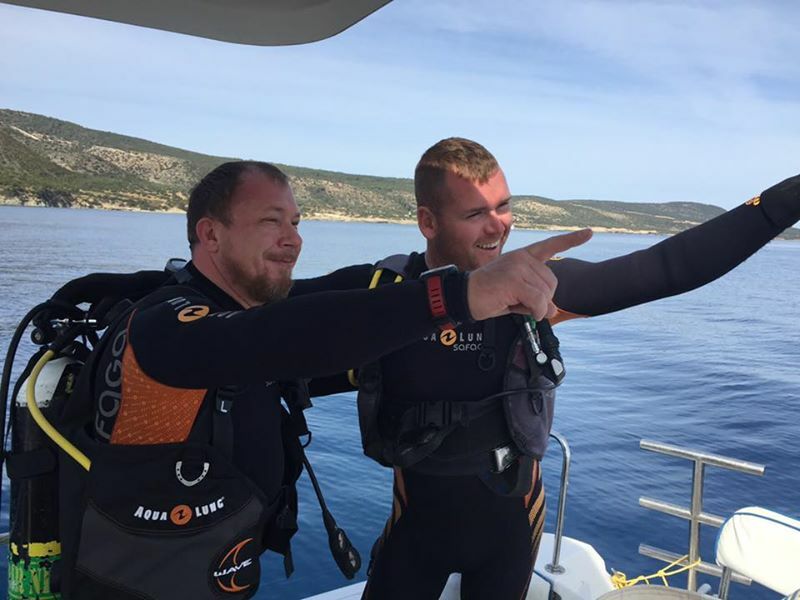 There is a range of PADI Go Pro courses you can take with Latchi Dive Centre in Cyprus. If you like people, have a passion for scuba diving and want an extraordinary life – become a PADI Instructor. 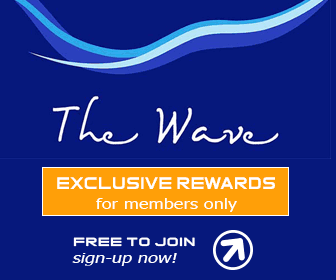 Teaching scuba diving allows you to share your love of the aquatic world with others. When you visit the island of love this year, why not come and dive in Latchi? Dive in Cyprus with Latchi Dive Centre. 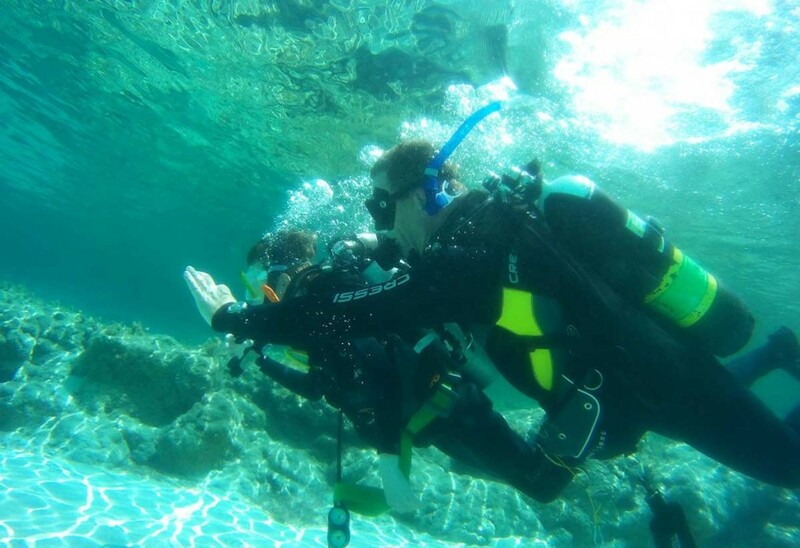 We are a PADI Five Star Instructor Development on the Northwest Coast of Cyprus. We have some amazing local dive sites on the Islands only nature reserve; the Akamas Peninsula. 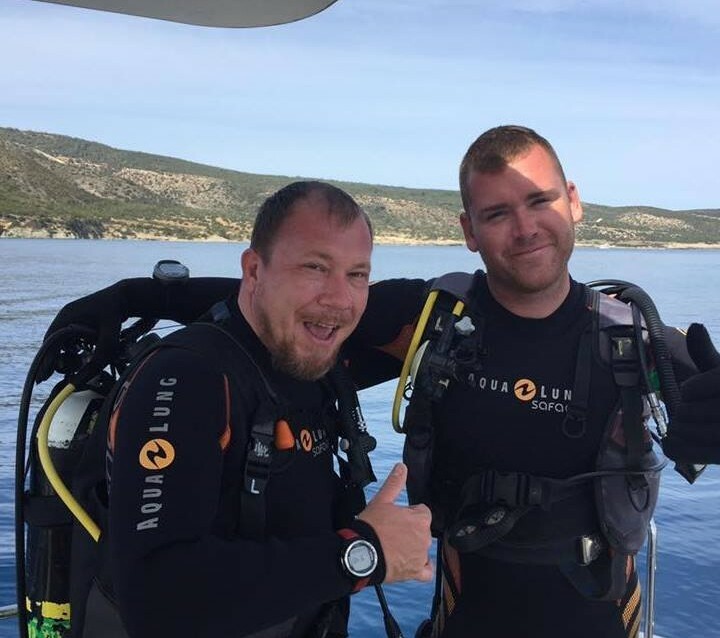 You can dive anywhere in Cyprus with us. Including the amazing Zenobia Wreck off the coast of Larnaca. We want to wish a huge congratulations to Arne J. 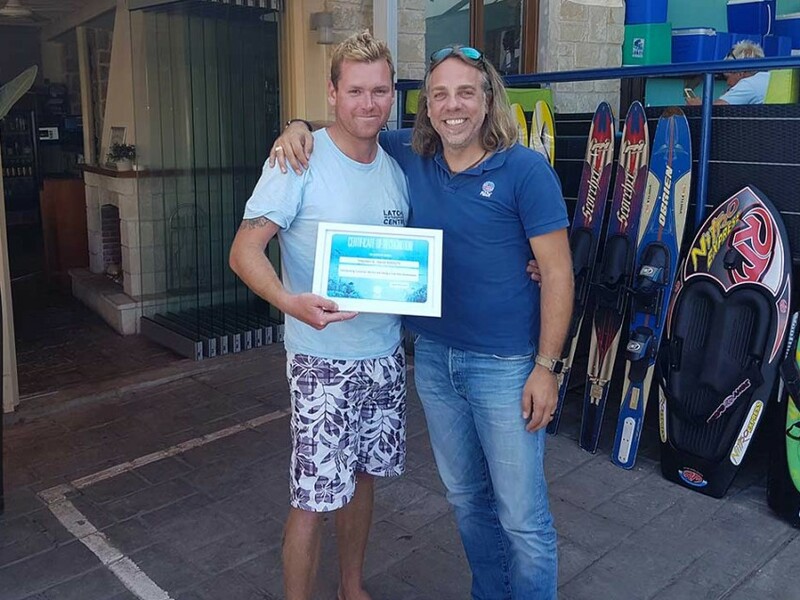 Wood for completing his DIVE MASTER certification with us over the last six weeks. 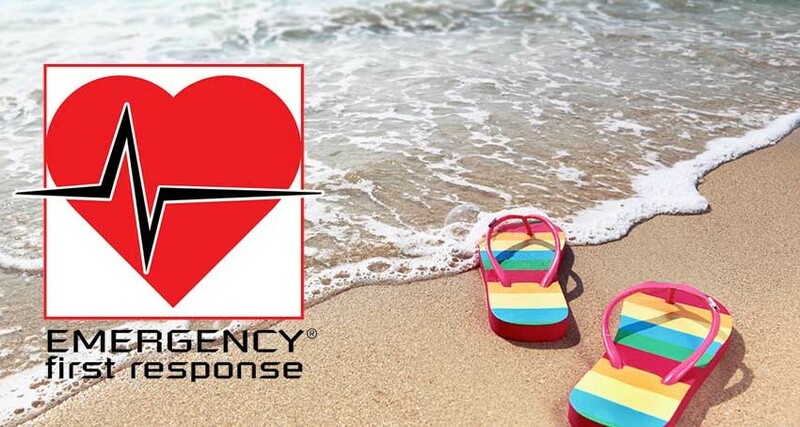 Latchi Watersports will be running a one day EFR – Emergency First Response first aid course. The course will be held on Monday 5th December, for a maximum of 12 participants. Outstanding Customer Service. 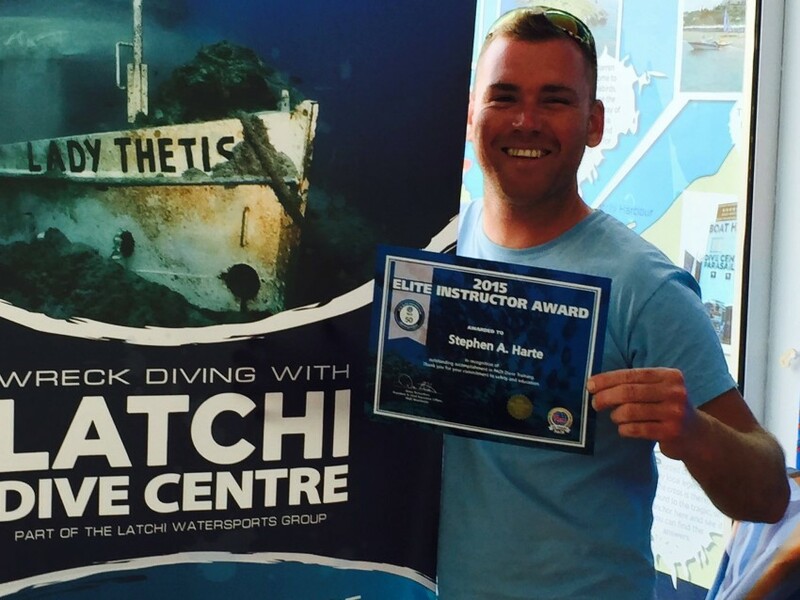 The PADI Certificate of Recognition award to Stephen A. Harte of Latchi Dive Centre. 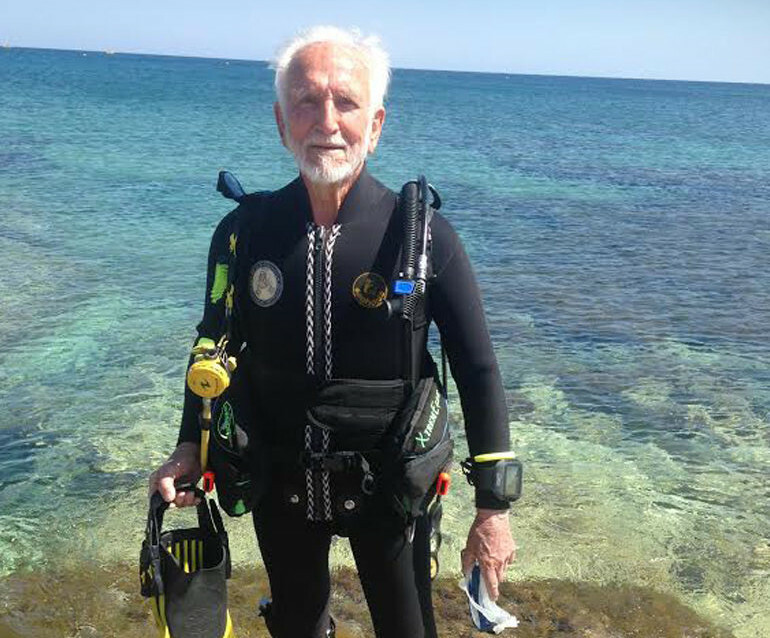 Say ‘Hello’ to Ray Woolley who at 93 years old is planning 39 dives this year! 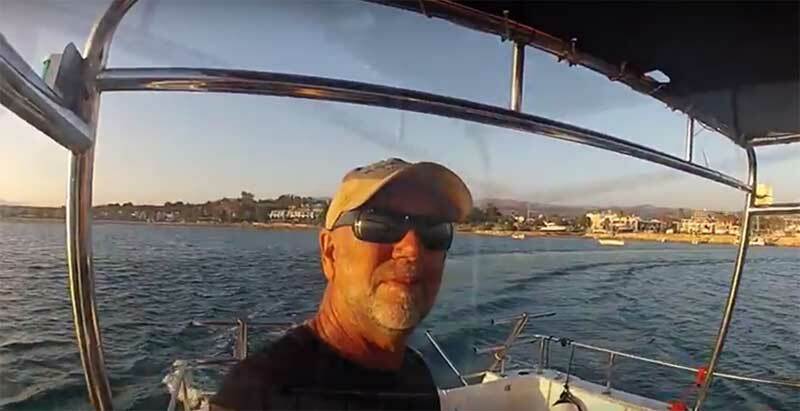 Diving with Latchi Dive Centre and capturing a wonderful video of the clear blue water that awaits every Akamas Diving enthusiast. 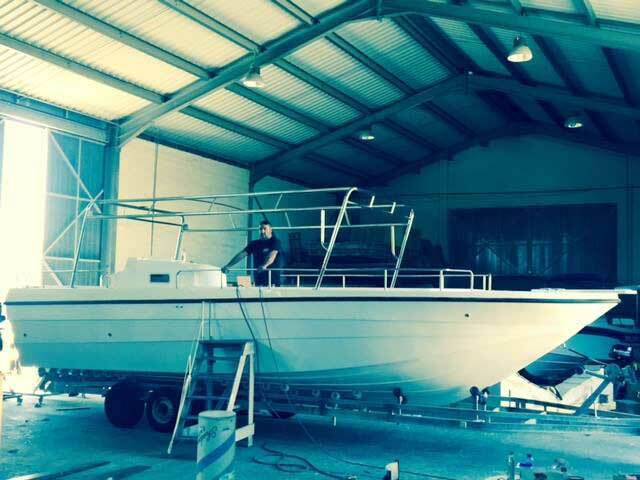 Our brand new dive boat is almost ready! A new Latchi Watersports (Latchi Dive Centre) Dive Boat will be available soon. And, it’s looking great! Discovering adventure, freedom and absolute serenity on a PADI DISCOVER SCUBA DIVING experience on in the Beautiful Blue Lagoon. We are a PADI Five Star Instructor Development Dive Resort and the premier scuba diving centre in Latchi on the North West coast of Cyprus. We have the beautiful Akamas National Park at our doorstep, other dive centres drive the length of Cyprus to dive here!